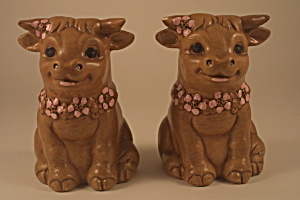 Range-sized set of "Happy Bulls" salt and pepper from Twin Winton. 5 1/2 inches tall. 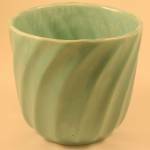 In very good condition, with the exception of a glaze flake/small chip on the salt bull's horn (see photos). These even have their stoppers!